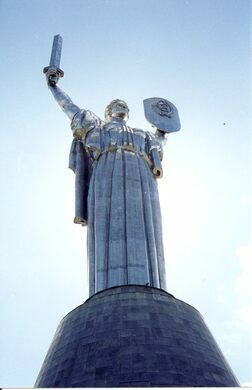 Standing proudly over the Kyiv skyline is the 340-foot tall, stainless steel Soviet Mother Motherland statue. 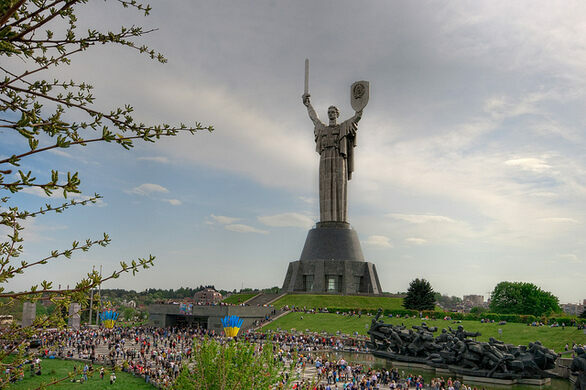 Originally intended to be even taller, the sword of the statue was cut because it was higher than the cross of the Kyiv Pechersk Lavra, a renowned Orthodox Christian Monastery. 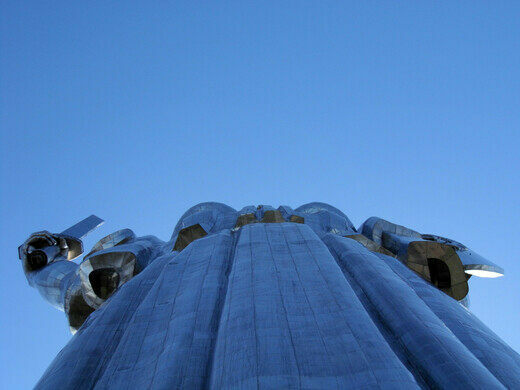 She ranks 18th on the list of the world’s tallest statues. For a bit of comparison, The Statue of Liberty ranks about 42nd. 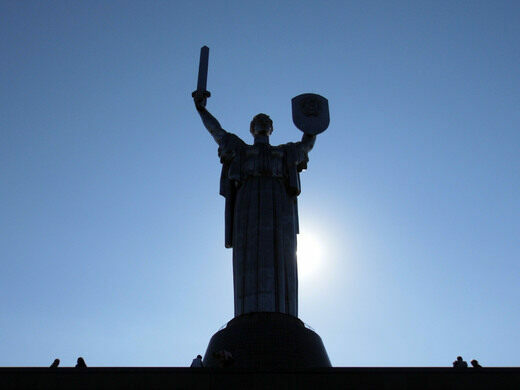 The statue is part of the Museum of the History of Ukraine in World War II (until the law changed in 2015 it was known as the Museum of the Great Patriotic War) and standing on top of the hill she is the piece de la resistance. However, with the entire complex covering 10 hectacres and with over 300,000 exhibits it is the largest museum in Ukraine. Setting aside adequate time is very much advised. 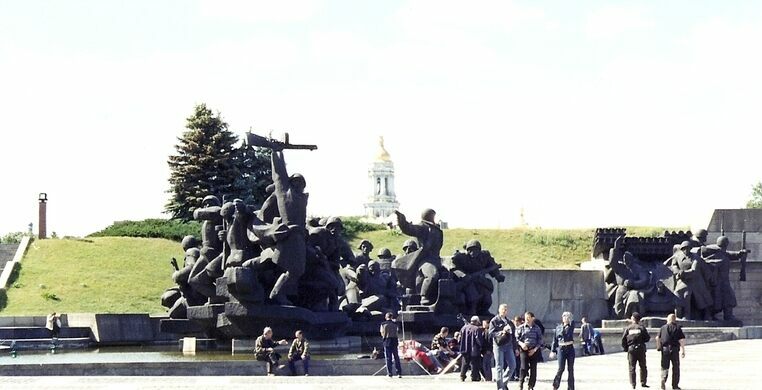 The entrance to the complex is typically Soviet; bold, large and imposing with sculptures depicting courageous struggles against German invasion, Nazi occupation and, of course, the devotion of the partisans to the party’s cause. 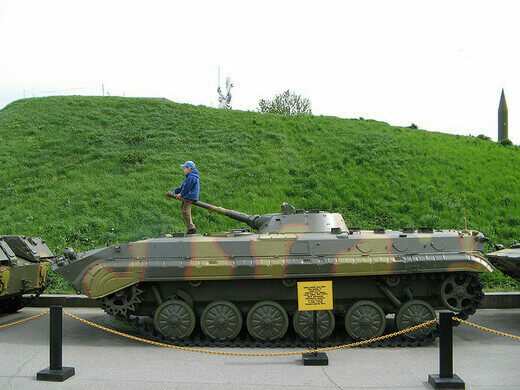 The outdoor complex is complete with a plentiful array of carefully arranged tanks, trucks, aeroplanes, helicopters and other assorted vehicles and weapons, all of which can be enjoyed whilst listening to a gloomy soundtrack of Soviet music. The museum is large, dimly lit and does not shy away from the atrocities that took place in Ukraine. Rodina Mat’s construction (1979-1981) was controversial due to the massive costs that many believed should have been put towards more worthy or better causes. 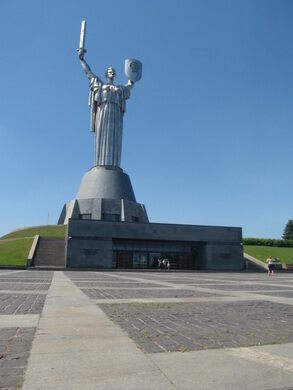 Controversy has not left the steel Mother with many people feeling that she should be torn down and her materials better utalised as she is a symbol of the Soviet State and communism. 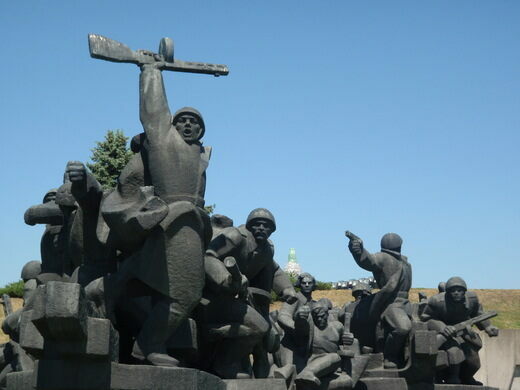 As recently as 2015 the Ukraine parliament, in an attempt to move away from the days of communist oppression, have outlawed Soviet and communist symbols. 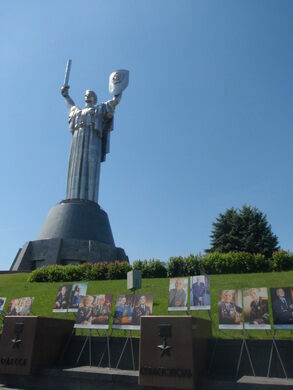 World War II monuments are exempt from the legislation and as such, because Rodina Mat and her surroundings are Soviet war memorials, her future looks safe. The museum's content and overall atmosphere is heavy. Save the trip up Rodina Mat until the end so that the views and the fresh air can blow some of the depression away.